Finally quit the habit? Now it’s time to clean out the lungs. It’s never too late do a natural lung cleanse for smokers. Even if you were a chronic smoker. Almost half a million people a year die from smoking, according to the American Lung Association. Smoking cigarettes is responsible for approximately 85% of the nearly 160,000 people that die each year in the U.S. from lung cancer. Despite these sobering statistics, even long-time smokers can do a lung cleanse. And a lung cleanse for smokers can include easy all-natural solutions. The best way to go about doing a natural lung cleanse is to incorporate both eastern and western healing treatments. Over 300 million people smoke in China. That’s almost the entire population of the USA. Roughly a quarter of China’s population are habitual cigarette smokers. The average smoker there consumers 22 cigarettes a day. And although China consumes the most cigarettes in the world, it has perhaps the oldest system of medicine for treating lung disorders. Herbal remedies for lung cleanses have been used for over 3,000 years in traditional Chinese medicine (TCM). From a TCM perspective, smoking causes Lung Qi deficiency. Qi is the universal source of energy which flows in every person, according to TCM theory. Smoking also causes Lung Yin deficiency. Yin (the counterbalance to Yang) deficiency manifests as dry cough. Di Huang (Rehmannia root): this herb helps strengthen the kidneys. In TCM theory, the lungs and kidneys have a mutual relationship. The lungs are the master of qi and the kidneys are the root of qi. Mai Men Dong (Ophiopogon tuber): moistens the Lungs, and clears Lung heat thus enhancing the Lily’ effectiveness. Jie Geng (Platycodon root) ventilates the lung and clears phlegm. The Chinese herb can be used for coughs with various causes. There are other TCM herbs that help cleanse the lungs. Obviously, finding these TCM herbs isn’t as easy as walking into a Whole Foods or other natural market and stocking up in the supplement aisle. But you can easily find a TCM formula with Bai He online. From a western natural healing perspective, detoxifying the lungs is almost as easy as taking some TCM pills or tablets. Just eat lots and lots of low-starch veggies. Smoking causes scarring in the lungs. There’s no getting around that physiological consequence. And it might take a lot of time for the damage to be neutralized. Smoking causes levels of vitamins A, C, and E to plummet. A study from Oregon State University established a direct relationship between vitamins C and E.
Vitamin C supplementation can largely stop the serious depletion of vitamin E that occurs in smokers, the researchers discovered. Eating foods rich in these vitamins would be a good first step for cleaning the lungs from smoking damage. Vitamin A is crucial for healthy lung function. If you’re doing a natural lung cleanse, you might also want to supplement with vitamin B6. It prevents genetic mutations, which can lead to lung cancer. Smoking can also cause vitamin D levels to drop. You might also want to supplement with vitamin D as a result. Of all the vitamin supplements, D is perhaps the most important. It’s difficult to obtain enough vitamin D from food, whereas most other vitamins are easy to come by from veggies. One other natural lung cleanse for smokers tip: cleanse your body and eat well just like all non-smokers should do. Eat a ton of green, leafy vegetables. Eat some for breakfast, in an omelette. Have a huge portion of steamed veggies for dinner. Eat a giant salad for dinner. Limit inflammation and mucus in your lungs by eliminating or greatly reducing the amount of dairy and added sugars you consume. One easy way to detox your lungs after years of smoking comes with a warning: always carry gum or breath mints. So, before trying this lung cleanse for smokers, stock up on them. Eating lots of onions can help heal your lungs. Lots of research studies on the protective effects of onions have been performed (such as this one that examined the effects of onion extract on liver and lung tissue in rats). A common nutritional protocol for cancer patients includes eating onions. Eating onions prevents the growth of new cancer cells, some researchers believe. Red onions might be especially beneficial for a lung detox. The type of antioxidants found in red onions, known as anthocyanins contain the lung-protective compounds. They also contain cysteine. Cysteine is an amino acid. Amino acids are the building blocks of protein. Cysteine may be beneficial for respiratory imbalances. Cruciferous veggies (cabbage, cauliflower, Brussels sprouts, kale) contain another class of antioxidants called isothiocyanates. These antioxidants may inhibit the bioactivation of carcinogens found in tobacco smoke, according to this cancer prevention journal. Though mom may have not known you were going to become a smoker, her advice to you to eat your broccoli may save your life. Both smokers and ex-smokers who eat lots of broccoli may be less likely to develop lung cancer. 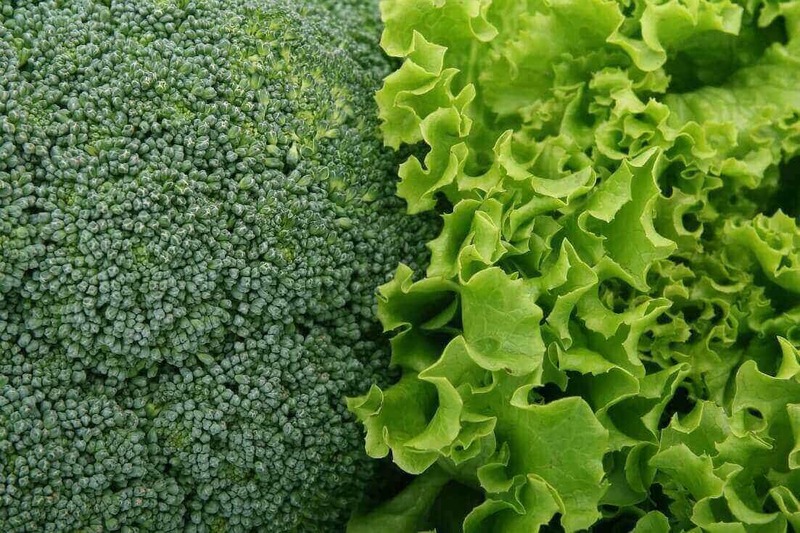 Green leafy veggies like broccoli not only contain loads of vitamins. They also are rich in minerals, especially if the veggies are locally-grown organic produce. One mineral that can help with a lung cleanse is selenium. Selenium may offer some protection against lung cancer. Another easy way to detox the lungs if you’re a smoker or former smoker is to eat lots of ginger. Its properties help get rid of phlegm and mucus. It doesn’t take a long time to do a natural lung cleanse for smokers, even if you were a decades-old smoker. In as little as a few days, if you follow some of the above tips, your lungs may get clearer. Try some Chinese medicine herbs. Eat lots of green leafy veggies. Pineapple is one fruit that’s especially beneficial for the lungs. And, of course, it goes without saying that one way to make your lungs operate more efficiently is by exercising. But be careful, especially if you’re not a frequent exerciser. You may not have the lung capacity to jog a few miles. Stay on the low-end of the intensity scale and work your way up. Go for long walks before you start a high-intensity aerobic workout. There are a lot of morning smoothie and detox recipes that will help clean your lungs. Also, some herbal teas such have lung-cleansing properties. Nettle tea is just one example of many lung-cleansing herbal teas. Matcha tea is loaded with antioxidants. You can make a morning smoothie with matcha tea. Add some turmeric to it to boost the medicinal value. It’s never too late to do a lung cleanse, but the sooner you get started, the better. How can I get hold of these. I am from South Africa. You can get recommendations over at Dr. Axe. Can I get these in South Africa? There might be a naturopathic practitioner there with access to the supplements. But we aren’t familiar with any in South Africa.